Looking for the perfect in Hill Station holidays. With this Maharashtra tour package, you can assure yourself with a refreshing and energetic tour. This package by Ghum India Ghum has been specifically Customize to brighten up those special moments with your Family/Friends and Partner. We can assure you to give tons of memories which you will cherish for a lifetime. On Arrival you will meet our Representative who will help you to check-in hotel. After a short rest proceed for sightseeing. First visit Gateway of India, after hat take motorboat to visit Elephantta Cave famous for huge Trimurti idol. You will also visit the Hanging garden, Prince of Wales Museum, Parliament House, Jain Temple and Marine Drive, Overnight stay in Mumbai. After Breakfast proceed towards Lonavala. Lonavala is a beautiful hill station which is known for its Natural Beauty, pleasant climate and unexplored tourist destination. Here you will be visiting Lohagad Fort, Karla Caves, Bhaja Caves,Lonavala Lake, Nagphani,kune Fall,Bushi Dam. Later overnight stay at Lenovala hotel. After having Breakfast leave for Panchgani which define the beauty in its own and in unique manner, Enjoy boating att Dhom dam and view the beautiful backdrop of the Sydney Point and Bhilar Waterfalls. Have an overnight stay at hotel in Panchgani. After early breakfast move towards you next destination which is Mahabaleshwar. Enjoy the Climate and natural beauty en-route. Aftter reching destination check-in to the hotel aand refresh yourself for local sightseeing, which include Chinamans Falls which offer an incredible sight of flowing water, the pratapgard fort which was built back in 1856 and Helens point which provides a fascinating background. Stay overnight at hotel. This morning after breakfast leave for the last destination Alibagh. The green and the lovely atmosphere make the trip a complete holiday. After reaching this destination go for sightseeing at Kihim and Varsoli Beach where you can spend some quality of time. Also you can enjoy water sports at Nagaon which is few kilometres from this place. Stay overnight at Hotel. Today after breakfast, you will be transferred back to Mumbai airport/railway station for your onward journey. 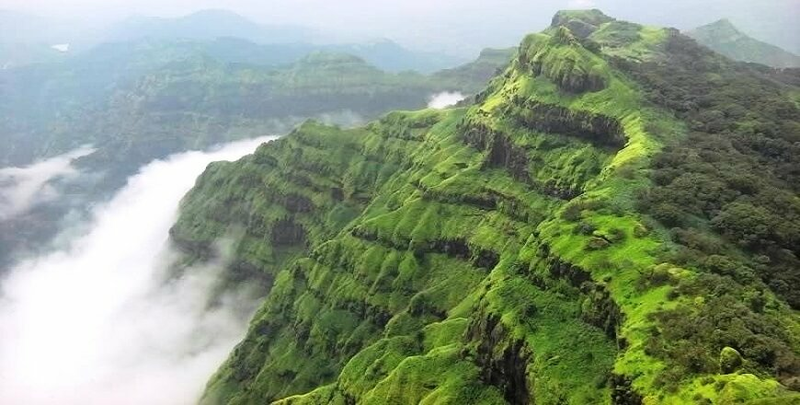 Return home with beautiful memories of Maharashra Hill stations tour package which will be with you for life long.